Effective Janurary 1st, 2017, California AR-15s featuring the popular "Bullet Button" have been banned. Rifles featuring any "assault" features must not allow the magazine to be detached from the firearm unless the receiver has been disassembled. Shooters may avoid this unpleasantness by building a "featureless" rifle. 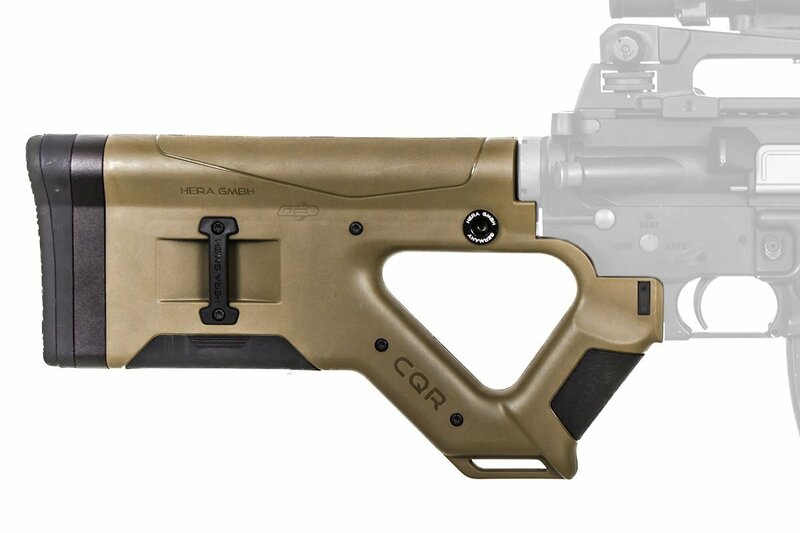 Enter: the Hera CQB Buttstock. This stock features a plate covering the thumbhole to keep one from getting a firm purchase around the pistol grip. It works very well to start a featureless rifle build. It is designed to fit over Mil-Spec or Civilian Spec buffer tubes, but works best with a Mil-Spec tube. For those outside of California or those installing the item to their airsoft KWA LM4, the plate covering the thumbhole can be removed to allow for full purchase on the grip. No. 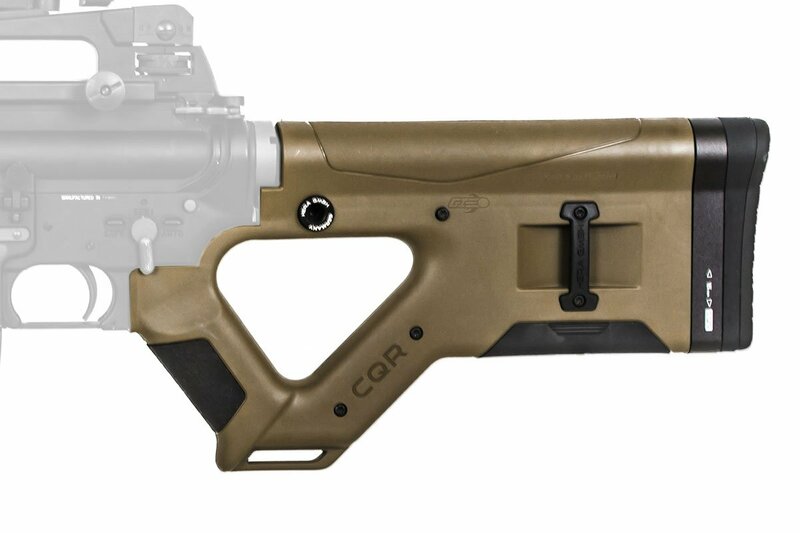 This is made for GBBR and Real Firearms. How could i run wiriing through it? I want to purchase this for an AEG/Polarstar build and was wondering if there were any ways if possible that I could route wires to install and run it effectively. You cannot, as it is built specifically for real steel AR15 platform rifles.